The New Trailer for ‘Wet Hot American Summer: First Day of Camp’ Is Downright Hilarious! A couple of weeks ago, we got a very small teaser trailer for the new series on Netflix, ‘Wet Hot American Summer: First Day of Camp‘, where it acted more as an old VHS camp video, than showing actual footage. Now though, we have actual footage with the entire cast, and it’s so funny, I’ve watched it a dozen times already, and laughed till it hurt. This is the one tv series I’m looking forward to. I so can’t wait, and enjoy. 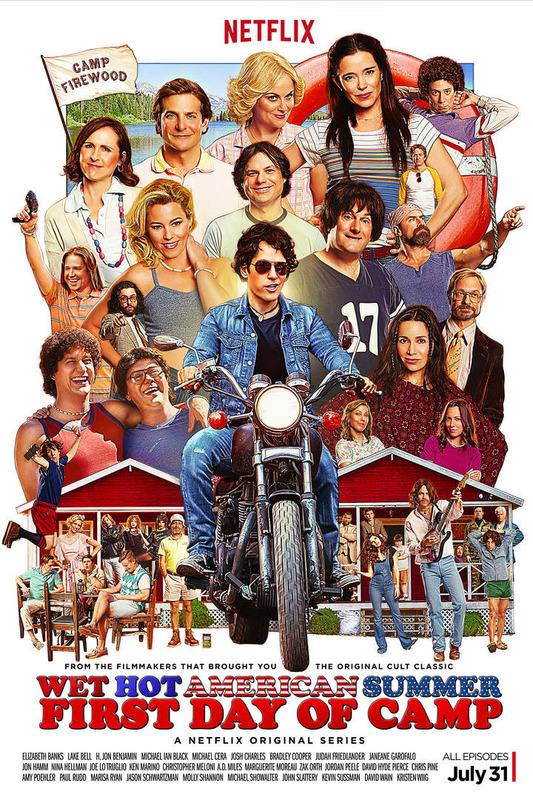 ‘Wet Hot American Summer: First Day of Camp‘ shows up on Netflix at the end of July. And I need this awesome poster on my wall or above my bed. This entry was posted on Thursday, July 2nd, 2015 at 10:05 am	and is filed under Film, News, Television. You can follow any responses to this entry through the RSS 2.0 feed. You can skip to the end and leave a response. Pinging is currently not allowed. « Film Review: ‘Infinitely Polar Bear’! Like you said, Feldman: Everybody deserves a second chance. [Reese grabs Hutch; puts a gun to Hutch's neck] Hutch! Alright, freeze! Alright, everybody freeze! Put your hands where I can see them! Do it now! Put that gun down or I'm gonna kill your friend right here. Do it now! Do it now! Put it down!